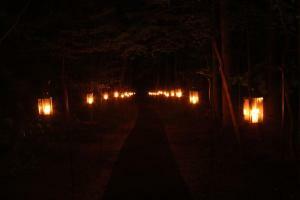 The Mountain Road Illuminated, May 2, 2013. Here Jackson fell wounded. These are the first portion of the remarks I gave at the event marking the 150th anniversary of the wounding of Stonewall Jackson. More than 450 people gathered at the site in the fading light and eventual darkness. My purpose was to talk about the man and our collective historical relationship with him. Greg Mertz and Frank O’Reilly brought visitors through the events of May 2, culminating with Jackson’s wounding at about 9 p.m. It was a memorable evening. It strikes me that one of the differences between our treatment of historical icons and our treatment of merely famous Americans is this: for merely famous people, we are satisfied to understand their deeds. For our icons, we seek a vision of the person, replete with personal details, almost all of them flattering. 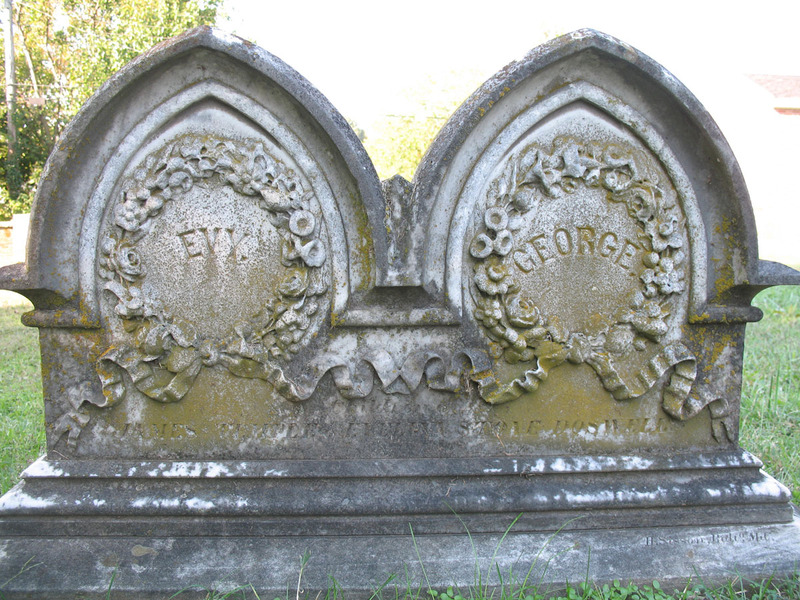 The headstone of Evy and George Doswell, young victims of the 1861 Scarlet Fever epidemic in Fredericksburg. Within ten days the committee decided how the lots would be laid out; in six weeks the group petitioned the legislature to incorporate, in two months the site was cleared of its rotting cornstalks; in May grass was sown; and by September 1844 workers completed the brick wall surrounding the cemetery—with the prominent gate on William Street that still stands. 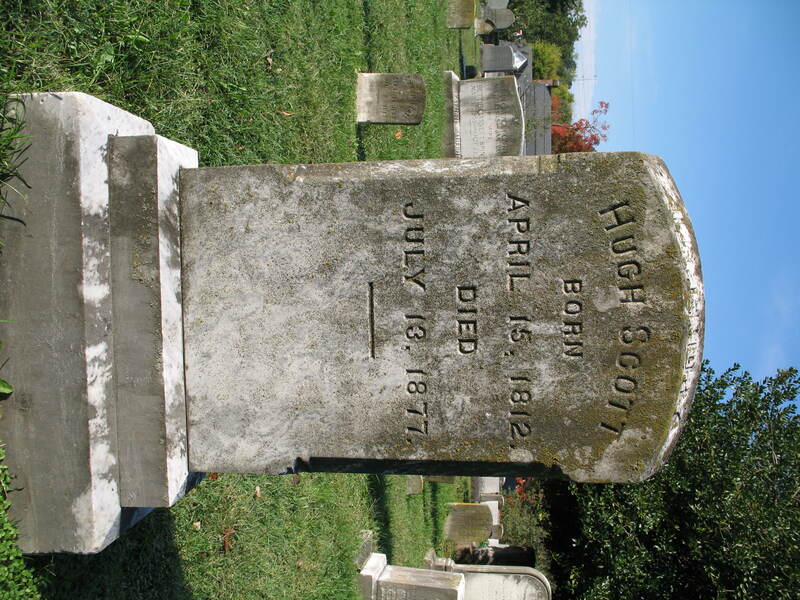 Soon thereafter someone stenciled the name “Fredericksburg Cemetery” on the walls, and the place opened for business and burials. A thirty-by-eighteen-foot lot cost $30; a lot eighteen feet square $15 (by 1860, the lot prices would nearly double). The new corporation contracted to have graves dug: two dollars for a “plain grave” and $2.50 “where a box is used.” )Only white residents qualified for burial here. Slaves and free people of color were usually buried across William Street in the “Potter’s Field,” where Maury School now stands.) The corporation reserved the four lots around the center point of the cemetery “for the exclusive use” of the pastors (and their families) of the four major churches in town: St. George’s, Methodist, Baptist, and Presbyterian. By 1860, more than 160 burials had already tak en place.